Our flagship model, the Glenaire is the perfect camper trailer to help our customers fill that dream. The Glenaire camper trailer has it all. Electric opening and closing for one. Its so simple, press a button on the remote or control the camper with internal operating buttons this forward double fold camper trailer will be up in minutes. The Glenaire camper trailer has two large beds. One King bed with deluxe memory foam mattress opens to the front of the trailer over the drawbar. The equally comfortable queen bed fold out to the rear of the trailer to open up the cabin area. Here you have a lounge area to easily sit 6 people with a table that fold down into another bed. The whole tribe can sleep in comfort. Unlike caravans, the cooking facilities are on the outside of the trailer. This trailer, along with all the other lumberjack models comes standard with a 4 burner cook top. One small jet, two medium sized jets and one large wok burner. Its easy to cook up a bunch of snags, a beautiful roast or just some 2 minute noodles. Our customers have the option to have the trailer plumbed to the gas bottles or simple use the regulator hose to connect a gas bottle. Lumberjack has thought of everything, there is a condiment compartment, two draws and even a tea towel holder. Under the kitchen side has drop down support legs and another slide out table top. Feedback from our customers was that the trailers can be difficult to move around off the car and batteries management is important. We listened and our trailers are fitted with an Arc Jockey wheel, which are easy to use, and Century Batteries with a full Australian support network. If you are not looking for an automatic opening and closing trailer, our alternative is our Otway camper trailer. The Otway is a forward fold trailer with a slide out bed. Firstly you winch open the trailer over the drawer bar to access the large slide out bed that opens out over the rear. The Otway has a queen main bed and a double that slides out the rear. The Otway lounge area also converts into another additional sleeping area when not being used for your family uno championship. Little brother to our Otway trailer is our Allendale. Very similar layout and functioning to the Otway, the Allendale camper trailer is smaller in size but boast all the same features and functions and the Otway and the Glenaire. These three trailers all come with our deluxe cooking facilities, easy to use opening and closing functions, electric breaks, Arc Jockey Wheels and more. The author with a great passion sells camper trailers in Australia. His ultimate goal is to ensure all his products are of fine quality meeting the highest standards. 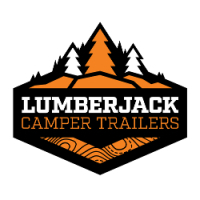 Visit https://www.lumberjackcampertrailers.com.au/ for details.